Previously, after a brief interlude of treating the idea of national Israel being reborn and brought back into the land as the expressed plan and purpose of God, and how such prophecy clearly indicated that this would happen, and has, we now return to the primary subject of this ongoing series, the Millennial Reign of the Messiah. The following chapters, from 40 to 48 address the exciting subject of the Millennial Temple which will stand prominently in Jerusalem under the reign of the Messiah, the LORD Jesus Christ. We have presented these videos before from BIBLIA PRINTS, but will present them once again for our readers in the hopes that if they have not yet watched them, that they would now take the opportunity to view them. “Those who have discovered that the key to interpreting God's Word properly is to understand it in a normal/literal way, will also discover that [the chapters in] EZEKIEL 40-48 is not a burden to the Bible student, but a delight. What joy God brings to the heart of the believer when he realizes, perhaps for the first time, that God did not give us any portion of His Word to confuse us, but rather to enlighten us. God really does mean what He says! “The last nine chapters of Ezekiel serve almost as a test case for God's people. In the words of Charles Lee Feinberg, a great Old Testament scholar of the 20th century, “Along with certain other key passages of the Old Testament, like ISAIAH 7:14 and ISAIAH 52:13-53:12 and portions of Daniel, the concluding chapters of Ezekiel form a kind of continental divide in the area of Biblical interpretation. It is one of the areas where the literal interpretation of the Bible and the spiritualizing or allegorizing method diverge widely. Here amillennialists and premillennialists are poles apart. When thirty-nine chapters of Ezekiel can be treated detailedly and seriously as well as literally, there is no valid reason a priori for treating this large division of the book in an entirely different manner." (The Prophecy of Ezekiel. [Chicago: Moody Press, 1967], p. 233). “God will fulfill His covenant promises to Abraham, Isaac and Jacob. God's "chosen people" will enjoy their "promised land" someday, after they have experienced national regeneration (JER 31:31-34; ROM 11:25-26). Not just for the Church, but also for Israel, "the gifts and the calling of God are irrevocable" (ROM 11:29). “We now present seven arguments in support of, and three arguments in opposition to a literal interpretation of EZEKIEL 40-48. 1. A careful reading of EZEKIEL 40-42 gives one the clear impression of a future literal Temple for Israel because of the immense number of details concerning its dimensions, its parts and its contents (see Erich Sauer, From Eternity To Eternity, EZEK 34). Buy this book on Amazon, here. Also, here is a pdf of this book. Surely, if so much space in the Holy Scriptures is given to a detailed description of this Temple, we are safe in assuming that it will be as literal as the Tabernacle and the Temple of Solomon. The fact that its structure and ceremonies will have a definite symbolical and spiritual significance cannot be used as an argument against its literal existence. For the Tabernacle was a literal structure [although] it was filled with symbolic and typical significance. Such reasoning might easily deny the literalness of Christ's glorious Second Coming on the basis that the passages which describe His coming are filled with symbolical expressions (see MATT 24 and REV 19). 2. Ezekiel was given specific instructions to "declare all thou seest to the house of Israel" (EZEK 40:4), which seems strange if the Temple were to symbolize only general truths. Even more significant is the fact that the Israelites were to "keep the whole form thereof, and all the ordinances thereof, and do them" (EZEK 43:11). This is an exact parallel to the pattern of the Tabernacle which Moses saw in the Mount, and which God commanded him to construct (EXOD 25:8-9). 3. All will agree that the Temple of EZEK 8-11 was the literal Temple of Ezekiel's day, even though the prophet saw it "in the visions of God" (EZEK 8:3) while he himself was still in Babylon (8:1). In these four chapters, we find mention of "the door of the gate of the inner court" (EZEK 8:3), "the porch" (EZEK 8:16), "the altar" (EZEK 8:16), "the threshold of the house" (EZEK 9:3), and "the east gate of Jehovah's house" (EZEK 10:19). Now without any indication whatever than an ideal [figurative] temple instead of a literal Temple is being set forth in chapters 40-42, we find similar if not identical descriptive formulas being used: "in the visions of God" (EZEK 40:2; cf. EZEK 8:3), "a gate to the inner court" (EZEK 40:27; cf. EZEK 8:3), "the porch of the house" (EZEK 40:48; cf. EZEK 8:16), "the altar" (EZEK 43:18; cf. EZEK 8:16), and "the gate which looketh towards the east" (EZEK 43:3; cf. EZEK 10:19), through which the glory of the God of Israel is seen returning, exactly as He had departed, according to EZEK 10:19 and EZEK 11:23. Now if the Millennial Temple is not to be a reality, then why insist that the return of the God of Israel is to be a reality? 5. God has definitely promised to the line of Zadok an everlasting priesthood (1 SAM 2:35; 1 KINGS 2:27,35). This confirms God's promise of an everlasting priesthood to Zadok’s ancestor Phinehas (NUM 25:13), which also confirms His promise of an everlasting priesthood to Phinehas' grandfather Aaron (EXOD 29:9; 40:15). See 1 CHRON 6:3-8,50-53 for the full genealogy. Furthermore, this promise of an everlasting priesthood was strongly confirmed by God through JER 33:17-22, who links the perpetuity of the Levitical priests with the perpetuity of the Davidic Kingship and the perpetuity of the earth's rotation on its axis! In view of these promises of God, confirmed again and again, it is highly significant that the Millennial Temple of Ezekiel will have the sons of Zadok as its priests! (EZEK 40:46; 44:15). God apparently means what He says! The intrinsic probability of this being fulfilled literally is strengthened tremendously by the mention of 12,000 Levites who will be sealed by God during the yet future seventieth week of Daniel (REV 7:7). If these are literal Levites it would hardly be consistent to maintain that the Temple is spiritual or figurative. And if God's promises to Aaron, Phinehas, and Zadok are spiritualized, how can we insist that His promises to David will be fulfilled literally (2 SAM 7:13,16)? 6. The Bible clearly teaches that while there is no such thing as an earthly Temple, an altar, or animal sacrifices in true Christianity (JOHN 4:21; HEB 7-10), there will be such provisions for Israel following the rapture of the Church (MATT 24; 2 THESS 2:4; REV 11:1-2. Compare also HOS 3:4-5 with DANIEL 9:24,27). Furthermore, REV 20:9 indicates that Jerusalem, the "beloved city," will once again be "the camp of the saints" during the millennial age. The clear New Testament teaching of a post-rapture "holy place" and "temple of God" in Jerusalem, complete with "the altar" (REV11:1), prepares us to anticipate a Millennial Temple in connection with the "holy city" Jerusalem, in harmony with Old Testament teaching. Andrew W. Blackwood, Jr., in Ezekiel, Prophecy of Hope (Baker Book House, 1965), believes that the centrality of the altar in Ezekiel's Temple points to centrality of the communion table in the Christian church! In light of this, Dr. Blackwood is disturbed that "in many of the beautiful Protestant churches that are being built today, the table of Holy Communion is crowded back against the wall at the greatest possible distance from the congregation, as was the medieval Roman Catholic custom. But today in the beautiful new Roman Catholic churches that are being constructed the sacramental table is brought away from the wall; so that the congregation, insofar as it is physically possible, surrounds the table. Ezekiel certainly is telling us that church architecture should be an expression of theology" (p. 240). 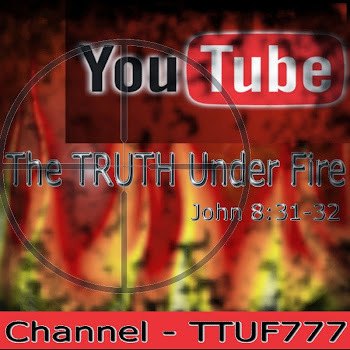 “So widespread is this type of interpretation that even some prominent dispensationalists have been influenced by it. Dr. J Sidlow Baxter, for example, tells us that "the main meanings of the striking symbols are clear ... The various cube measurements symbolize their divine perfection. In the description of the sacrificial ritual we see the absolute purity of the final worship" (Explore the Book IV, 34, Academie Books, Grand Rapids, 1966). We shall leave it to the reader to decide, after studying EZEK 40-42 again, whether these are "clear" meanings of these "symbols." "Ezekiel's guide measured a thousand cubits, that is, fifteen hundred feet, and he caused the prophet to enter into the waters: they were up to his ankles. May this not suggest the very beginning of a life of fellowship with God? 'If we live in the Spirit let us also walk in the Spirit' (GAL 5:25). The feet were in the river and the waters covered them, but the guide measured another thousand cubits and caused Ezekiel to pass through the waters, and they were up to his knees. Who will think it fanciful if we say that the waters up to the knees suggest praying in the Holy Spirit? But the guide measured another thousand and caused the prophet to pass through the waters, and now they were up to his loins, suggesting the complete control of every fleshly lust in the power of the Spirit of God. He measured another thousand, and that which had begun as a small stream was a river so that Ezekiel could not pass through, for the waters were risen, waters to swim in. 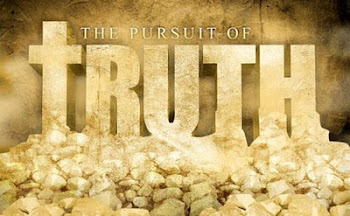 Surely this is to live in the fullness of the Spirit to which every child of God should aspire" (Ezekiel the Prophet, pp. 327,328, Loizeaux Brothers, 1949). “In my opinion, such an exposition of Holy Scripture is not only fanciful but dangerous, causing the student to wonder whether each expositor is not, after all, a guide unto himself, the blind leading the blind. If the commentator rejects the literal interpretation of the passage, and fails to find support elsewhere in Scripture for a consistent figurative or symbolic interpretation, he should confess his ignorance, leave the passage alone, and go elsewhere." Even a superficial reading of EZEKIEL 40-42 yields a summary understanding that the dimensions given in cubits in height, length and width of the various aspects of this future temple is remarkably detailed and suggests nothing to the reader that these are allegorical – the prophet is greeted by an angelic being with a measuring rod and he brings Ezekiel in a vision, to a very high mountain. Here the prophet witnesses the dimensions of the temples height, width and length, as well as the stairs, the gates that lead into the temple, the porch areas, the court areas (outer and inner), even the windows and arches. The description gets even more detailed in the latter half of EZEK 40 and in the following two chapters. Doors and tables and walls, windows, as well as various artifices, altars and chambers. 7 And he said unto me, Son of man, the place of my throne, and the place of the soles of my feet, where I will dwell in the midst of the children of Israel forever, and my holy name, shall the house of Israel no more defile, neither they, nor their kings, by their whoredom, nor by the carcases of their kings in their high places. Note vs. 7 there is the explicit declaration that His throne, where the soles of His (nail-pierced) feet “will dwell in the midst of the children of Israel forever” with the promise that His people will no longer defile His Holy Name by their idolatry! In chapter 44 there is the indication that the eastern gate of this temple will be shut so that no one can enter through it because this is the gate that “the prince” who is the “LORD God of Israel” shall enter (which we also saw in 43:4). Later in this chapter there are prohibitions as well as apparel that the priests are to abide by – again, very specific details that cannot be taken allegorically. And while in the days of Herod the Great, whose amazing architectural abilities greatly enhanced that humble holy house, the description of this temple in EZEKIEL is plainly a different temple than what Herod conceived. We know that this can’t be the temple that will be built in these last days, which the Beast will defile with his abomination (of his own image), because the outer court of that temple will be “given to the Gentiles” (REV 11:2). The fact that the LORD will dwell with His people forever indicates that this is not that temple, but a yet future temple sometime after the reign of the Beast is ended; clearly this cannot be the New Jerusalem as the dimensions are completely different! Thus, this can be none other than the temple which will be established during the earthly reign of the Messiah of Israel, the LORD Jesus Christ! I often think about that time when the LORD will return to this wicked world and establish His righteous reign among His people Israel, and the Gentile nations of the world, and we the church will be by His side, never to depart. We shall witness this temple as a monument to our Messiah and visit it as one today might visit the Washington Monument or the Lincoln Memorial. It will be an actual construct, with brick and stone – we will climb the stairs and witness this marvel on a day appointed! Exciting days are in store, despite how dark this present darkness may get. The LORD will have the last word and His glory will be revealed for all to see, and He shall receive all the worship that He is worthy of! AMEN! 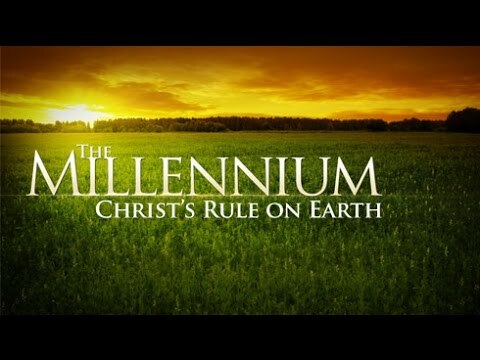 Next time we will look into DANIEL and there is a lot of material to cover in that book regarding the Millennium. We shall then proceed from there to HOSEA, JOEL and the other minor prophets before we then go to the New Testament and glean from there all that can be apprehended regarding this wondrous age yet to come! Until then, the LORD bless and keep us in His grace, truth, peace and mercy, in Jesus Name!